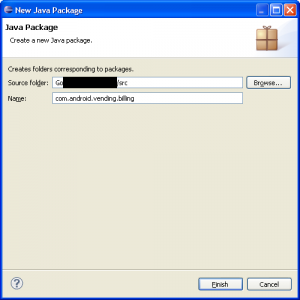 Solution for the IInAppBillingService.aidl error in eclipse. If you try to add the Google library android for the in-app billing, you will have this error: interface IInAppBillingService should be declared in a file called com\android\vending\billing\IInAppBillingService.aidl. We will see how to solve this issue. 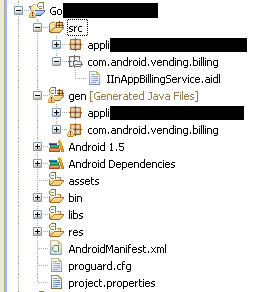 Copy the IInAppBillingService.aidlfile to your Android project. If you are using Eclipse: Import the IInAppBillingService.aidl file into your /src directory. That is not exactly true. 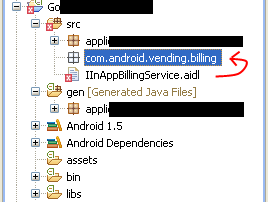 If you do that, you will have this error: IInAppBillingService should be declared in a file called com\android\vending\billing\IInAppBillingService.aidl. 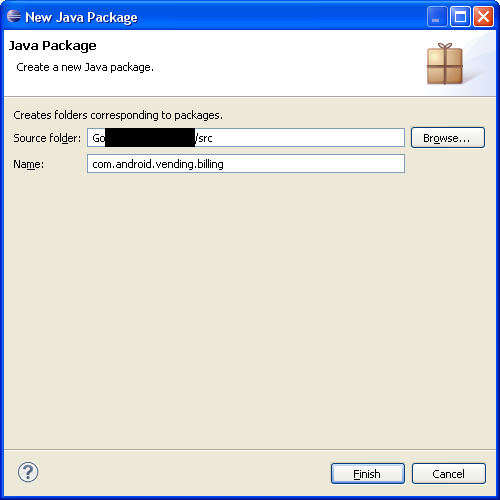 Right click on src and make a new package: com.android.vending.billing. Move the class IInAppBillingService.aidl in this new package (you can do that with the mouse). This entry was posted in Tutorial and tagged android, IInAppBillingService, in app billing, solution, tutorial by WakeUp Sun. Bookmark the permalink. Thanks for the help, but I can’t find the .aidl file.